The Portland Beavers was the name of separate minor league baseball teams, which represented Portland, Oregon, in the Pacific Coast League (PCL). The team was established in 1903, the first year of the PCL. The most recent form of the Beavers exists presently as a Triple-A team representing the Chihuahuas in El Paso, Texas. Many baseball teams have been known as the Portland Beavers; the most recent club, which began operating in 2001, recognized the history of all previous incarnations as its own, stating it was established in 1903, the same year the Pacific Coast League was established. The actual team name, the Beavers, originated in 1906 following a newspaper contest to rename the existing Portland team that was created in 1901 when the Portland Baseball Club was started by a group of Portland businessmen. Along with the Los Angeles Angels, Oakland Oaks, Sacramento Solons, San Francisco Seals, and Seattle Rainiers, a Portland Beavers club was a charter member of the Pacific Coast League in 1903. Along with Sacramento, Portland was one of two charter cities that had a team in the PCL (as of the 2010 season), the other cities having been taken over by Major League Baseball franchises. Following the 2010 season, the Beavers were placed for sale and relocation because of the lack of a suitable stadium in Portland, as PGE Park was being remodeled into a soccer-only configuration for the MLS's 2011 expansion Portland Timbers. In 2010, the Beavers were sold to Jeff Moorad, principal owner of the San Diego Padres. The team temporarily moved to Tucson, Arizona, becoming the Tucson Padres while waiting for a new stadium is built for them in their planned future home of Escondido, California. On July 30, 2012, the Pacific Coast League gave preliminary approval to MountainStar Sports Group to buy the Tucson Padres with the intent to relocate the franchise to El Paso, Texas for the 2014 season after financing in Escondido did not materialize. On December 10, 1902, Henry Harris, the owner of the California League's San Francisco team announced that the Pacific Northwest League team from Portland, the Portland Webfoots, and a new team from Seattle were joining with the California League to create the Pacific Coast League (PCL). Before the Portland franchise joined the PCL, the president of the Pacific Northwest League, Henry Lucas, was adamant in keeping the Portland franchise in his league. A team in the Pacific Northwest League was formed called the Portland Green Gages, which folded early in its first season. When the Portland PCL team first started playing, they were known as the Portland Browns. In their first season, classified as an independent league, the PCL featured six teams including the Browns. The Browns finished their first season fifth in the PCL. During the 1904 season, the Browns finished with a record of 79–136. The 136 losses still stands as a record in the PCL for most losses by a team in a single season. Other records for that season include the most errors in a season (669), and the lowest single-season team fielding percentage (.929). Before the 1905 season, professional baseball player Walt McCredie and former Republican U.S. House member from Washington Judge William Wallace McCredie purchased the Portland franchise. The team was then renamed the Portland Giants and Walter McCredie was named the player-manager of the team. During the 1905 season, the PCL was re-classified as a Class-A league in minor league baseball. In 1906, the team was renamed the Portland Beavers after a newspaper contest was started to decide the new name of the team. That season, the Portland team won its first pennant in the PCL. Beavers player Mike Mitchell led the PCL in home runs with six, the fewest ever to lead the PCL. Mitchell also led the league in batting average. The Beavers finished last in 1907, and second in 1908 and 1909. In 1910, Portland won another pennant behind the pitching of Vean Gregg and Gene Krapp. Gregg finished the season with a 32–18 record and 14 shutouts while Krapp had a 29–16 record for the season. Portland repeated as PCL champs in 1911 fielding four 20-game-winning pitchers. In 1912, Judge McCredie helped get a new 12,000-seat grandstand built at Vaughn Street Park. His obituary later read that the ballpark was "the sensation of baseball, because it inaugurated a minor league precedent of providing individual grandstand seats, which fellow magnates called an extravagance and a dangerous innovation." The NAPBL made a change to league classifications in 1912, making Double-A the top tier. The PCL, and the Portland Beavers, moved into this new classification from the previous top tier Class A league. Former Beavers manager and part owner Walt McCredie. During the 1910s, the Beavers developed some working relationships with other teams. From 1911 to 1914 the Portland Beavers had their own farm team which played in the Northwest League (renamed the Pacific Coast International League in 1918). The Class B team shared the use of Vaughn Street Park and was known as the Portland Pippins in 1911, but changed their name to the Portland Colts in 1912. During the 1914 season, the Colts moved to the Seattle area and finished their last season as the Ballard Pippins before folding. Portland also had an informal relationship with the Cleveland Indians through much of the 1910s that saw many future major league stars come through Portland to fine-tune their skills. Portland played well in 1913 and 1914, winning the pennant both seasons. Though the 1915 Beavers featured future Hall of Famer Stan Coveleski, the team didn't fare too well, and started into a tailspin that would last for over a decade. The year also marked the end of their relationship with the Cleveland Indians. With America’s entry into World War I, restrictions were placed on travel, such that the Beavers withdrew from the PCL for the 1918 season, playing instead in the Class B Pacific Coast International League. The team was known as the Portland Buckaroos and finished their shortened season (play was stopped on July 7 due to the war) in second place 1½ games back of Seattle. Ironically, the PCL ceased play just a week later as they too were unable to continue play due to restrictions on travel. Due to the Beavers' withdrawal from the PCL, the league offered Sacramento, California a franchise to replace the Portland team, while the McCredies continued to own the baseball club in Portland. The new team in Sacramento was known as the Sacramento Senators, and could be considered a continuation of the original Portland Baseball Club. 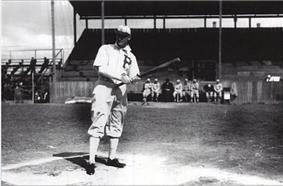 With the McCredies still at the helm, Portland was offered an expansion franchise and re-entered the PCL in 1919. The team finished in seventh place, only ahead of last-place Seattle who was also an expansion team that year. Portland finished in last place in 1920 and again in 1921. After the 1921 season, the McCredies sold the team to Walter Klepper who had been president of the Seattle team. Klepper brought in Jim Thorpe who played with the Beavers in 1922, paying him a then-unheard of minor league salary of US$1,000 per month. It wasn't long before Klepper was in the middle of a dispute with Baseball Commissioner Kenesaw Mountain Landis. Klepper had brought Seattle player-manager Bill Kenworthy down to manage the Beavers, only Seattle claimed Kenworthy was still under contract and that Klepper had tampered in the matter. Landis suspended Klepper until January 1, 1925, and declared Kenworthy ineligible to play or manage Portland until 1924. According to The Portland Beavers, a book by Kip Carlson and Paul Andresen, "The feisty Klepper went to court and had the decision overturned, supposedly the only time that Landis ever had a ruling reversed." Kenworthy did manage the Beavers in 1924, replacing popular player-manager Jim Middleton. He was fired mid-season, though, as he was not able to generate support from the players. The 1924 season was also noteworthy in that future Hall of Famer Mickey Cochrane played on the team. After 1924, the Beavers officially became a farm team for a major league team for the first time when Philadelphia Athletics owners John and Tom Shibe purchased the Beavers as well as Vaughn Street Park. Despite having Duffy Lewis on the team in 1925 (winning the PCL batting title), Elmer Smith in 1926 and 1927 (leading the PCL in home runs in 1926 and all of minor league baseball in home runs in 1927), and Ike Boone in 1928, the Beavers continued to finish in the bottom half of the league. Longtime head groundskeeper Rocky Benevento started working for the Beavers in 1927. Benevento was so popular with the fans that they took up a collection for him in 1956 to send him to the World Series. Benevento retired at the end of the 1966 season and was given a new car. When Benevento died in 1969, The Oregonian stated, "He adored kids...he loved baseball...and most of all he loved people." His funeral had an overflowing crowd that included Oregon Governor Tom McCall. Benevento stayed with the team 40 years, spanning 30 managerial changes and five ownership changes. While the former location of Vaughn Street Park is now a parking lot, there is a plaque honoring Benevento for his efforts in furthering baseball in Portland. In 1929, the Beavers changed their name to the Portland Ducks, bearing a duck on their uniform, and were also occasionally known that year as the Portland Rosebuds. The name change didn't change the team's luck as they finished with a 90–112 record. Long–time radio broadcaster Rollie Truitt also joined the Beavers staff in 1929, and worked for the team for 35 years, spanning 28 managerial changes and five ownership changes. Truitt would later be known as the "Dean of Pacific Coast League broadcasters." In 1930, the team reverted to the Beavers name, but would occasionally be referred to as the Ducks for over a decade. The highlight of the Beavers last place 1930 season was William Rhiel's unassisted triple play, the last recorded in PCL history. In 1931, team President Tom Turner bought the franchise from the Shibe brothers and the team took a turn for the positive. Ed Coleman led the PCL in hits and runs batted in, and the team finished in third, winning 100 games. The team continued to improve in 1932, winning Portland its first pennant since 1914. The team finished second in 1933. Turner brought Walter McCredie back to manager the team in 1934, but he died early in the season and the team fell to the bottom half of the league. Following the 1934 season, E.J. Shefter bought the team from Turner. The team improved in 1935, finishing one game over .500, and then won the pennant in 1936, finishing 1½ games over runner-up Oakland, then winning the postseason series to capture the crown. In 1937, the Beavers finished in fourth place, but made it to the playoffs defeating San Francisco in the first round before losing to the San Diego team featuring a young Ted Williams. The team finished sixth in 1938 before finishing in last place in 1939–1942. The 1940 team was so bad, finishing 56–122, that they were still 25 games behind the seventh-place team (the league had eight teams at that time). In 1943, William Klepper, with partner George Norgan buying a minority share, purchased the Beavers. The team came back that season with their first winning record since 1937. The management of the team began referring to the team as the "Lucky Beavers" and Vaughn Street Park was known as "Lucky Beaver Stadium." With the United States firmly involved in Eddie Basinski joined the Beavers, and they finished third, losing to the Los Angeles Angels in the first round of the playoffs. The team drew, up to then, a team record of 421,000 fans that season. This record would stand for the Beavers until the 2001 season when Triple-A Baseball returned to Portland. In 1948, the team finish fifth, followed by a sixth-place finish in 1949. The 1949 season began the integration of the Pacific Coast League as Frankie Austin and Luis Marquez became Beavers. Beginning with the 1950 season, the Beavers finished fourth for four straight years. Clay Hopper, who had been Jackie Robinson's manager when he played for the Montreal Royals in 1946, was named the team's manager in 1952. This year also marked the first year the Pacific Coast League was classified by the NAPBL as an "open league." The open league was a step above Triple-A, and was an attempt by the Pacific Coast League to be considered the third major league. Plans for a new ballpark were announced by the team in 1953. Originally the team planned to build a new stadium at 82nd and Holgate in Southeast Portland. Due to the Korean War, among other issues, the stadium never came to fruition. In 1954 the team dropped again to the bottom of the league. After the 1954 season the team went up for sale to the community via public stock, which resulted in 2,400 new owners for the 1955 season. With the change the Beavers rose to fifth place, only nine games back of first. In 1956, the Beavers left the now-demolished Vaughn Street Park to move into 25,000-seat Multnomah Stadium, eventually renamed Civic Stadium. Throughout most of the 1960s, the Beavers were the Triple-A affiliate of the American League Cleveland Indians, nurturing such future stars as "Sudden" Sam McDowell, Lou "Mad Dog" Piniella, and Luis "El Gigante" Tiant. Later major league affiliations included the Minnesota Twins and Philadelphia Phillies. In 1961, the Beavers signed the 56-year-old Satchel Paige. He pitched 25 innings for the Beavers, striking out 19 and giving up 18 earned runs without recording a decision. The PCL expanded in 1978 and added a new team in Portland, calling themselves the Beavers. The new Beavers played in Civic Stadium through 1992. In 1983, the Beavers won the PCL pennant, the first for Portland in 47 years. Though finishing fourth overall that year, the Beavers defeated the Edmonton Trappers to win the Northern Division title, then bested the Albuquerque Dukes in the finals to capture the league championship. Vince Sinisi on deck in 2008. After the 1993 season, Beavers owner Joe Buzas moved the team to Salt Lake City, Utah, where they became the Salt Lake Buzz, and later the Stingers. They are now known as the Bees. Before the 1994 season, the Class A Bend Rockies relocated to the now available market of Portland in 1995. The Portland Rockies played in the Rose City for the next six seasons and served an important role for the city, whose demand for a major league team was growing. Portland's support for the Rockies paved the way for the return of Triple-A Baseball in 2001. Following the 2000 season, the Los Angeles Dodgers and San Diego Padres swapped Triple-A affiliates. The Albuquerque Dukes (a charter franchise of the PCL in 1903 as the Los Angeles Angels) moved to Portland, becoming the Beavers, as the San Diego Padres affiliate. As part of the relocation agreement, Civic Stadium was renovated in 2000 and renamed PGE Park. The Dodgers became affiliated with the Padres' Las Vegas Stars, who would be renamed the 51s. The Portland Rockies would move up the Columbia River to Pasco and become the Tri-City Dust Devils in 2001. In 2007, owner Merritt Paulson announced that he was considering changing the name of the team to prevent confusion with the Oregon State University Beavers teams. Possible new names and logos were unveiled, and a vote was staged on the team website. "Portland Beavers" won the contest, and the team unveiled new logos and colors on January 29, 2008. The Beavers emphasized their connection to the three prior franchises with the notation "Est. 1903" on their primary logo. The team also brought back the name "Lucky Beavers" as part of a sleeve patch on their alternate jersey. In 2009, the city of Portland was awarded a Major League Soccer (MLS) expansion franchise for 2011, to be named the Portland Timbers. The Portland City Council approved a $31 million agreement to renovate PGE Park to a soccer- and football-only stadium, with the condition that a new ballpark be built in Portland for the Beavers by 2011. The Memorial Coliseum in the Rose Quarter was an original site for the proposed ballpark; however, it met public opposition. Initial plans called for the new ballpark to be built at the site currently occupied by the Memorial Coliseum, which would have been torn down, but public outcry about demolishing a Portland landmark led Portland mayor Sam Adams to propose a second site in the Rose Quarter area north of Memorial Coliseum. The site, however, proved to be too small. Another location in the Lents neighborhood in southeast Portland was also rejected due to objections from neighbors. In June 2009, the Portland City Council voted to separate the soccer and baseball projects, allowing renovation of PGE Park to proceed without completed plans for a baseball stadium in place. Other locations in the Portland area were considered for the ballpark, including a vacant terminal at the Port of Portland, Delta Park, the Portland Expo Center, Portland Meadows, the Westwood Corporation Heliport site, a building owned by Portland Public Schools near the Rose Quarter, and suburban locations in Beaverton, Clackamas, and Vancouver, Washington. None of these sites progressed past initial discussions. With no suitable Portland location available, in July 2010, Paulson announced that he was putting the team up for sale and relocation. Padres owner Jeff Moorad formed a group to buy the team and talked of moving its home games to the Lake Elsinore Diamond in Lake Elsinore, California until a new stadium in Escondido could be built. Eventually, the group decided to move the team temporarily to Tucson, rename them the Tucson Padres, and with plans to move again to Escondido when a new ballpark would be built. However, plans in Escondido failed, the team was sold again and moved to El Paso, Texas, to become the El Paso Chihuahuas. To replace the Beavers, in 2012 the Yakima Bears, a Class A team in the Northwest League, announced they would relocate to a new 4,500-seat stadium in the suburb of Hillsboro as the Hillsboro Hops. 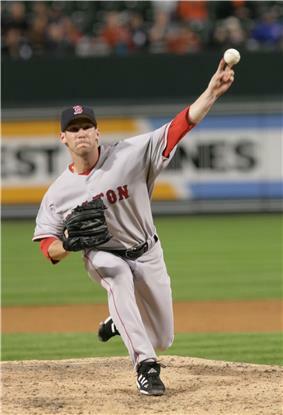 ^ Corey Brock - MLB.com (October 14, 2010). "Moorad agrees to purchase Triple-A club". Major League Baseball. Retrieved October 15, 2010. ^ Smith, Dylan (December 18, 2010). "Tucson's new Triple-A team announces name: Tucson Padres". ^ a b c d e f g h i j "Beavers History". PortlandBeavers.com. Minor League Baseball. Retrieved July 31, 2010. ^ "Merry Fight Over Baseball". The Deseret News. The Deseret News. Retrieved July 31, 2010. ^ "1903 Pacific Coast League". Baseball-Reference. Sports Reference, LLC. Retrieved July 31, 2010. ^ "1905 Portland Giants". Baseball-Reference. Sports Reference, LLC. Retrieved July 31, 2010. ^ a b Weiss, Bill and Marshall Wright. "Historians Weiss, Wright Rank 100 Best Minor League Baseball Teams." Minor League Baseball. 2001. Retrieved September 27, 2008. ^ "Merritt Paulson, new owner of the Beavers and Timbers, stages a 'Grand Reopening' tonight at PGE Park." The Oregonian. Retrieved July 20, 2007. ^ "Beavers to keep historic nickname." Portland Beavers. 2008. Retrieved February 22, 2008. ^ "Beavers unveil new logo, uniforms." Portland Beavers. 2008. Retrieved January 30, 2008. ^ "MLS awards 18th franchise to Portland". mlsnet.com. March 20, 2009. Retrieved March 20, 2009. ^ James Mayer (February 3, 2010). "Portland City Council approves soccer deal for PGE Park". The Oregonian. oregonlive.com. Retrieved February 16, 2010. ^ Jackson, Josh (March 11, 2009). "Beavers' new stadium a step closer". minorleaguebaseball.com. Retrieved April 24, 2009. ^ Frank, Ryan; Mark Larabee (April 22, 2009). "Saving Portland's Memorial Coliseum may cost taxpayers". ^ a b Larrabee, Mark (June 22, 2009). "Lents Park out as Beavers' home". ^ Larabee, Mark (June 24, 2009). "Major League Soccer plan still alive as Portland council endorses latest plan". ^ Larabee, Mark (July 21, 2009). "Beaverton in running for new Beavers baseball stadium". ^ Schmidt, Brad (September 3, 2009). "Clackamas County added to list of possible future sites for Portland Beavers.". ^ Brettman, Allan (November 10, 2009). "Vancouver now interested in wooing Portland Beavers". ^ Fentress, Aaron (July 28, 2010). "Portland Beavers owner Merritt Paulson prepared to sell team; several cities interested". ^ Maffei, John; Josh Leventhal (July 26, 2010). Baseball America "Displaced Triple-A Club Likely To Share Lake Elsinore Ballpark In 2011"]. Retrieved July 28, 2010. ^ Breier, Michelle; J. Harry Jones (December 15, 2010). "Council votes to bring baseball to Escondido". Retrieved December 20, 2010. Snelling, Dennis. The Pacific Coast League: A Statistical History, 1903–1957. McFarland & Company, Inc., Jefferson, NC, 1995. ISBN 0-7864-0045-5.